Rev. Kemp, the recipient of Rogers’ letter and an associate rector of St. Paul’s Church, was working with Robert Cary Long on the construction of the new building for St. Paul’s Church on Charles Street. 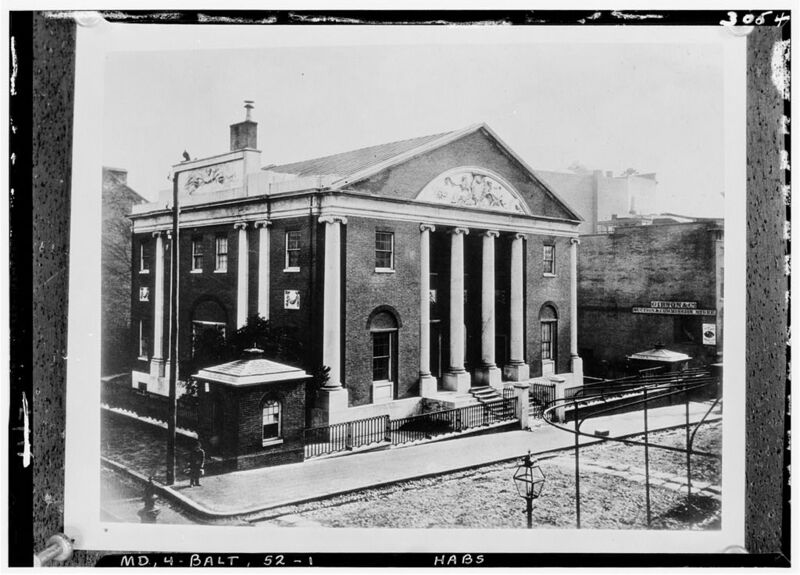 Organized and chartered in 1804, the Union Bank of Maryland was built in 1807 with architect Robert Cary Long joined by builders William Steuart and Colonel James Mosher. One artifact from the long-since demolished bank building still survives up through the present. A carved sandstone typanum, created by “Messrs. 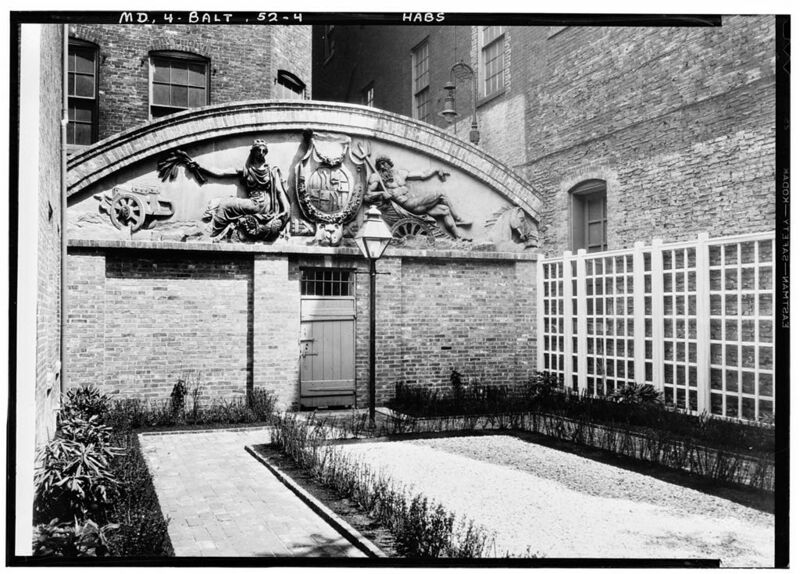 Chevalier Andrea and Franzoni,” was moved to the “Municipal Museum,” better known as the Peale Museum, where it was installed in the rear yard after the museum’s 1931 restoration. Source: Hayward, Mary Ellen, and Frank R Shivers. 2004. The Architecture of Baltimore: An Illustrated History. Baltimore: Johns Hopkins University Press.